William Gifford Palgrave (1826-1888), Jesuit, traveller and diplomat; son of Sir Francis Palgrave. Sitter in 10 portraits. Lock & Whitfield (active 1856-1894). Artist associated with 624 portraits. 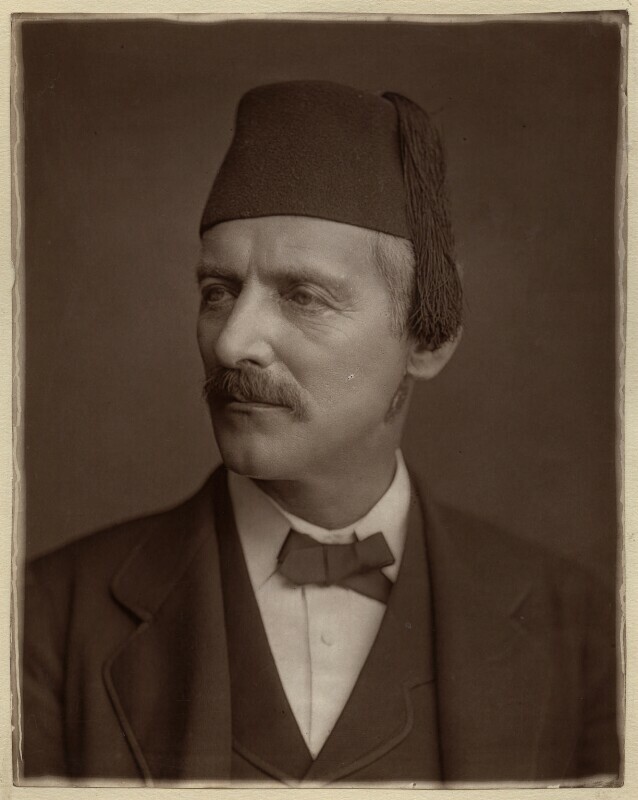 This photograph shows Palgrave wearing a fez cap. It was used to illustrate Palgrave's entry in the biographical volume Men of Mark: A Gallery of Contemporary Portraits (1880), where it was reproduced with an oval crop. At the time there was a vogue for these sorts of volumes, others on the market included Men of Eminence and The Cabinet Portrait Gallery.